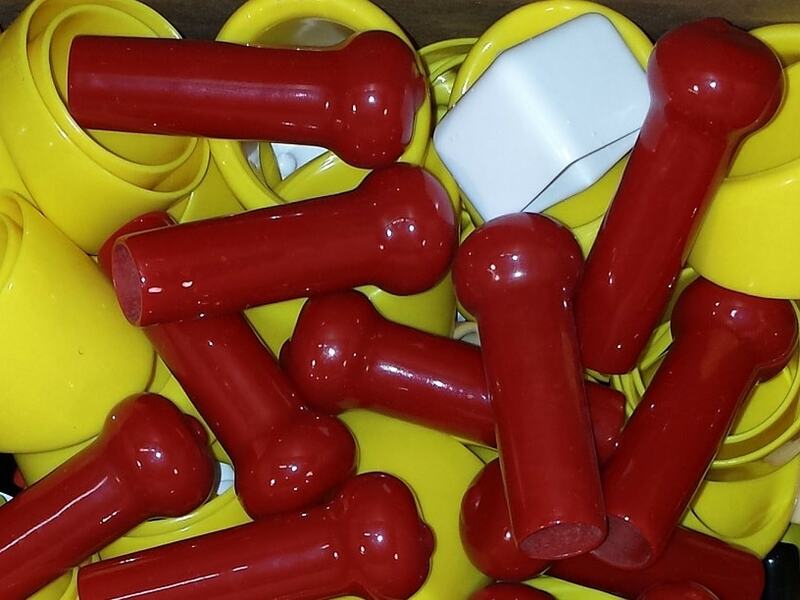 Round plastic tips are made to fit over the ends of small tubes and pipes to keep out dirt or keep liquids in. Manufacturers mass produce plastic tips in standard sizes, and some will engineer custom tips for another company that requires them for a new product. Some tips are threaded and screw on to the outside of a pipe or tube to cover the end, while other tips are more like a plastic plug that fits snugly into the end of the tube to protect the inside. Plastic tips are usually manufactured using one of the following methods: plastic dip molding, plastic injection molding, or plastic tube extrusion. In the plastic dip molding process, a heated mandrel is dipped into a pool of liquefied plastic where some of the plastic adheres to the mandrel. The mandrel is then removed and heated again to allow the plastic to fuse. The plastic is then allowed to cool, and it is removed from the mandrel, leaving the final product. By varying mandrel temperature, dip time, and dip speed, a variety of different material properties can be achieved. With plastic injection molding, a liquefied plastic material is, instead, injected into a mold that forms the exact shape of the plastic tip. Once the material cools, it can be removed from the mold. Any excess plastic is usually trimmed off before the process is finished. When tips are created using plastic tube extrusion, the material is heated, and it is stretched over an object that holds it in place and then pressed into the correct shape. Less heat is required when this method is used, and it can be much faster than plastic injection molding if the process is properly optimized. Plastic tips can be dyed during the manufacturing process if they need to match the color of the product that they are being created for. Plumbers often use small plastic tips to seal off pipe lines or to create an access point for future maintenance. Some tips are created to be used as a re-sealable cover for liquid products that can be poured or squirted from a container. Larger plastic tips are manufactured to sit snugly over chair legs to protect floors from being scratched by sliding furniture. 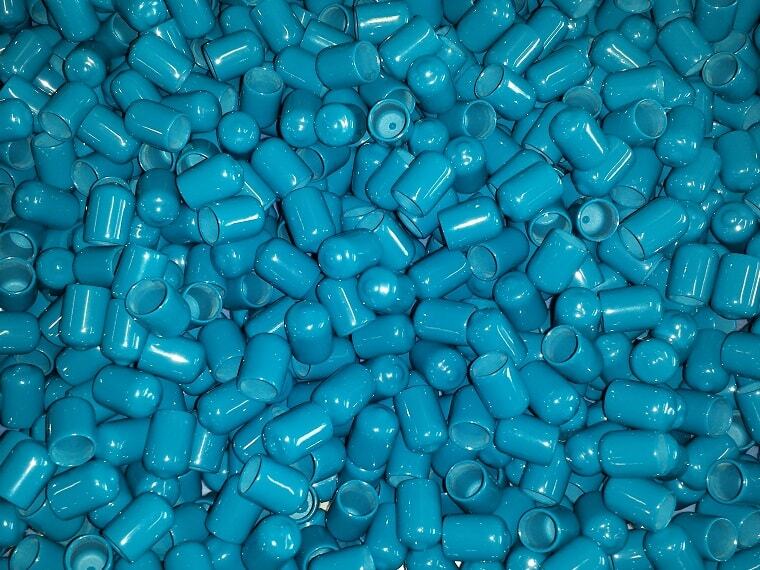 Plastic Tips Plastic tips are used to seal the end of bars, nozzles and tubes in numerous consumer products and commercial pieces of equipment. They are made in many shapes and sizes to match the application they are being fitted to. Tabs are sometimes built on the tips so that they can quickly be pulled off if needed.